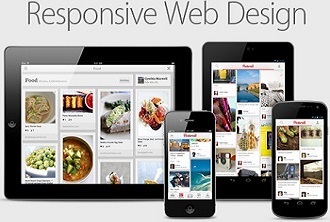 Responsive Design, as the underlying base of a websites’ deployment, uses flexible or fluid grids, fluid images, and CSS3 Media Queries to adapt to the viewers’ different device widths and resolutions. Developing Responsive Design is rarely a process with an ending, but rather it’s an ongoing effort to optimize the user experience on different viewpoints. As more and more different devices with access to the web enter the market, it is essential that a website can fluidly adapt to multiple screen sizes. Web developers and designers have to go through a shift in thinking about how to cater the design to different viewports. A website needs to look good but, most importantly, it needs to be equally usable on a smartphone, tablet, e-reader, and desktop or laptop.